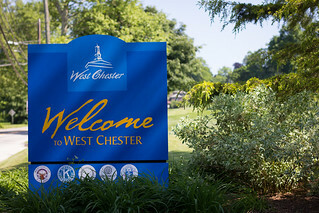 On Wednesday, August 6, 2014, Join Mayor Carolyn Comitta and the West Chester Police Department for a Night Out Against Crime, a family fun event at the Borough Municipal Building from 6pm – 9pm. Bring the kids for FREE hot dogs and Rita’s Water Ice along with a Moon Bounce and face painting. The event is sponsored by Barnaby’s of West Chester, Hotel Warner, Landmark Americana, and New Haven Pizza.